Kimberley Skins is a developing body of work that explores existing historical sites used during the twentieth century to contain Aboriginal people. Each site has its convictions and stories of human survival, loss, and forgiveness. Trees hold essential significance in cultural ceremony and healing rituals. 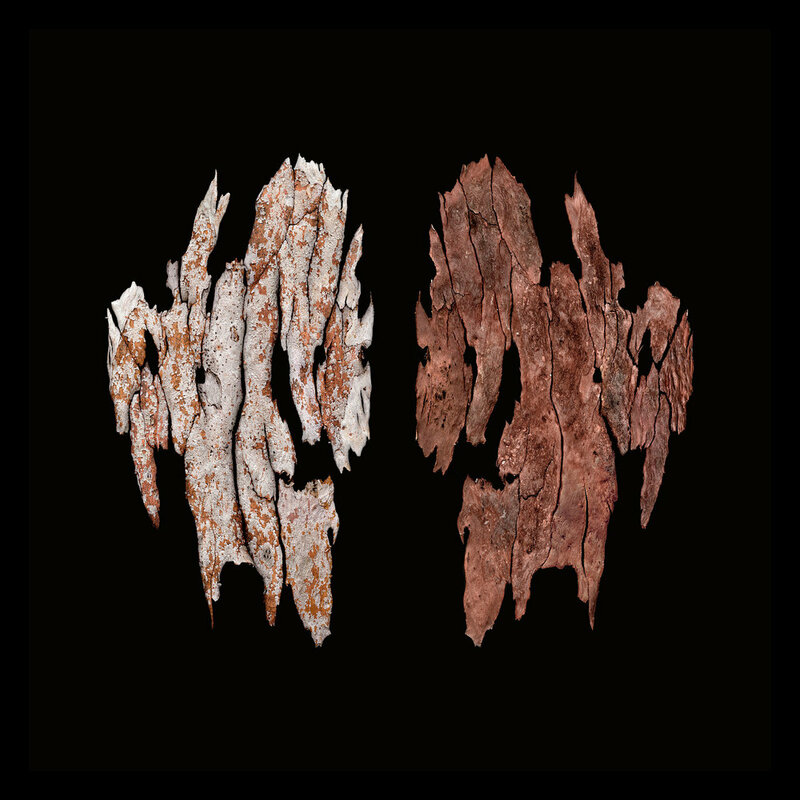 Note: This bark skin is from a Eucalyptus tree growing at the historic Bungarun Leprosarium, a national heritage site located outside of Derby. Bungarun is haunted by stories of love, friendship, illness and the resilience of individuals and families suffering from Hansen’s disease (leprosy) between 1936 – 1986. The site now abandoned and in an increasing decrepit state, marks a unique period of medical and community history especially for Aboriginal people removed from the country for treatment. Bungarun is a peaceful place during daylight hours, haunted by nightfall. Flesh tones, scars and shedding draw resemblance to human skin. The bark has been collected, flattened and then put back into place like pieces in a puzzle that cannot be perfectly reconfigured again. Bungarun is the first photograph to ever win the overall award at the Shinju Matsuri Art Awards.